A few days ago Tami wrote about going for a swim in her neighborhood pool and what a great workout it was. It got me thinking, why don't more people swim? It's one of the best exercises out there. 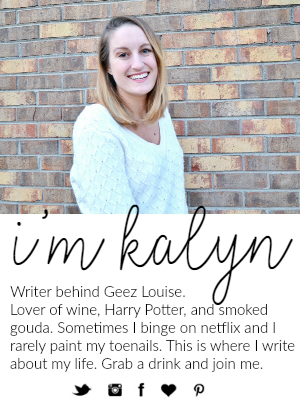 Well, Kalyn, not everyone knows that. (And not everyone knows how to swim but that's a different soap box). 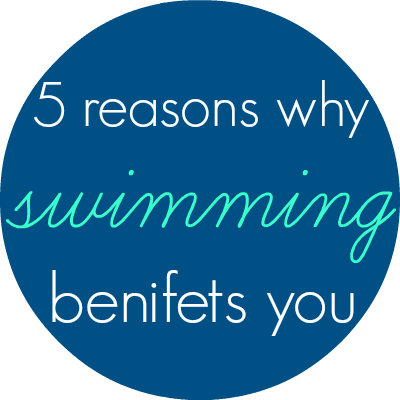 Here's some reasons you should give lap swimming a try. Cardio First and foremost, swimming is a form of cardio, or aerobic exercise. Aerobic exercise is any exercise that you perform over an extended length of time (3+ minutes) that causes your heart rate and your respirations to increase, thus leading to more oxygenation in the muscles. Cardio essentially strengthens the heart muscles, and your heart can pump more oxygenated blood through your body with less effort. This is why athletes generally have lower heart rates (around 50-60 bpm) because their heart can pump more blood with each contraction. Neat, huh? Another neat thing about cardio is that it helps you burn fat. There are two types of "fuel" our muscles can use, fat or carbs. It is easier for them to use carbs because they are less dense and require less oxygen. So when you're doing cardio, you're pumping more blood (more oxygen) to your muscles, so they can break down fat easier. Easy on your joints If you've been an athlete for a long time, you probably have osteoarthritis, or degenerative joint disease (DJD). Basically your knees, elbows, ankles prematurely deteriorate from overuse. So if running hurts your knees or kickboxing hurts your hands, try swimming instead. The buoyancy of the water supports your body weight, therefore alleviating the stress on your joints. All-over Workout When you swim, you use muscles all over your body. Your legs, arms, back, and core are all used to propel you and keep you floating. To really make sure you utilize all of your muscles, practice different strokes. Regulates Breathing & Improves Lung Control Obvs if your going to be swimming with your face under water, you aren't going to be panting like you would be when you are running/biking/walking/etc. Because we need to hold our breath, swimming allows us to regulate our breathing pattern and gain lung control. This is helpful if you are a runner that might have a hard time catching her breath. Relaxing This may be more of a personal opinion, but I think swimming is one of the most relaxing forms of exercise there is. Maybe because I'm good at it? I'm not trying to be cocky (promise) because I know there are people out there that don't swim well, or those that are even afraid of the water. And if you are one of those people, pleeeease please (with sugar on top) just give it a try? I promise you won't regret it! Are you a swimmer/do you swim for exercise? Have you considered it or would you? 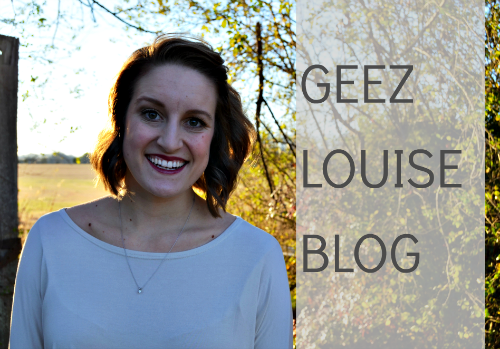 Linking up with Sarah for Fan Friday! But I could do it in conjunction with cardio... but then there is the issue of being in a bathing suit... ew. i love love swimming at my gym. i haven't been able to since july (couldn't see without contacts) but i'm almost ready to jump back in!!! i agree that it really is an excellent form of excercise. 1 lap for me burned 17 calories!!! This makes me wish my new gym had a pool! My old one did and I loooved swimming laps on days I needed something different from the treadmill/elliptical. It is very relaxing and is it weird that its kind of refreshing to throw on a one piece & not care about what you look like in it? Haha maybe that's just me! I wish I liked swimming, but I can't stand getting in the pool at a public gym, it just grosses me out! If I had my OWN pool in my backyard I would swim. Like a LOT. I have swam (swum?) laps two more times since I wrote that first post and I caught sight of my back muscles in the mirror the other day--you can see them!!! They exist!!! And I know it's from the swimming because I do like zero other form of upper body exercise. So hi, easy shoulder/back workout. i love swimming! we had some new kids move into our apt complex that never.get.out.of.the.pool. so i never get to swim anymore. i think after swimming is super relaxing too, you feel SO good! I love swimming. I have arthritis (yes, I'm only 27) so find this really helpful for my joints. If only I could a better pool in my area...or lived on a lake/ocean ha! swimming is no joke! kicks my booty every time.